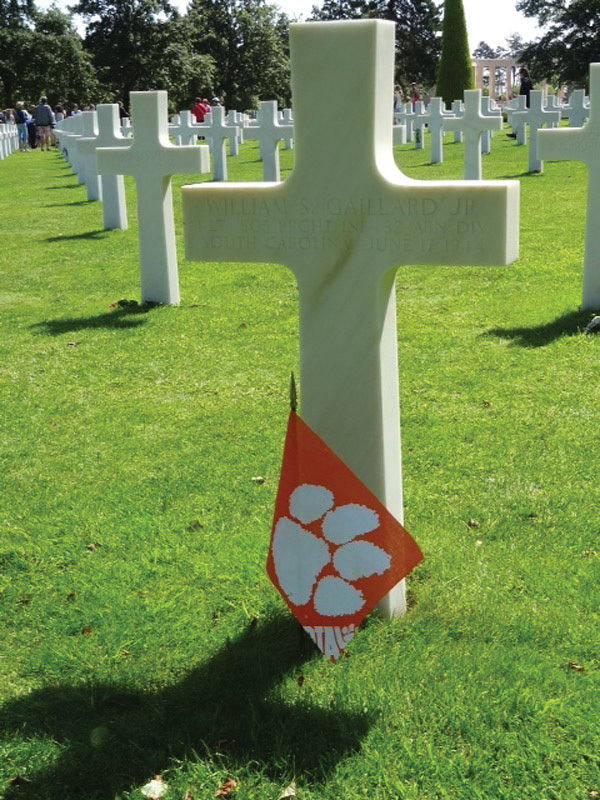 History and travel enthusiast, Rhonda Bailey Antonetti ’87 (NURS) of Charleston wanted to take Tiger Paw flags to place on the Clemson alumni WWII soldiers’ graves in the American Cemetery in Normandy, France. Little did she know the amazing, serendipitous venture this gesture would uncover. She was able to place only one flag on her visit, and she snapped a picture of the marker. When asked about her trip by a co-worker, Antonetti showed her pictures. This co-worker, Staci Gaillard, was surprised to see the name on the marker was a name familiar to her — one shared by her father-in-law, husband and son. The soldier was William S. Gaillard Jr. ’40, her husband’s great-uncle. The present generation of the family had not known much about his death and service. Antonetti assisted the family in researching information. 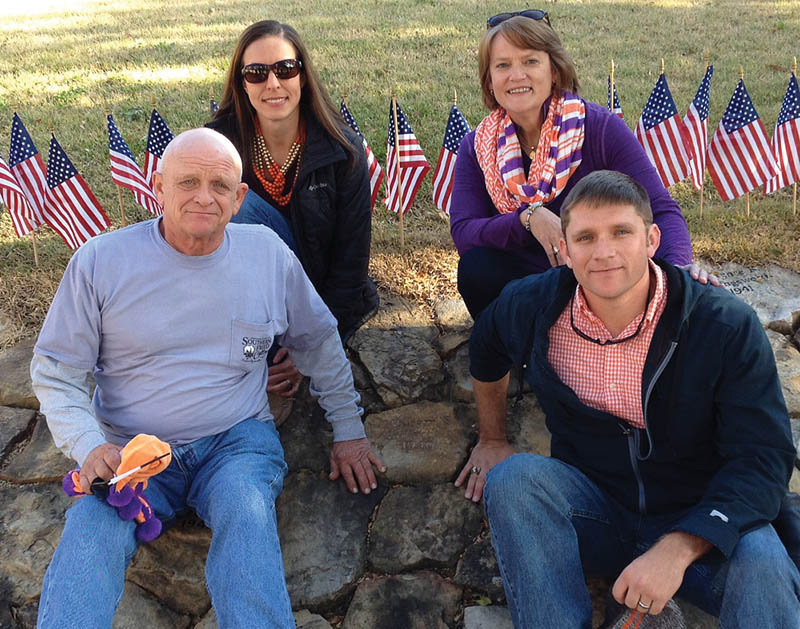 On Clemson’s Military Heritage Day, his nephew, William S. Gaillard II; great-nephew, William S. Gaillard III ’03 (MKTG); William III’s wife, Staci Gaillard; and Antonetti visited his stone at the Scroll of Honor Memorial. Staci and William have a son, William S. Gailliard IV.